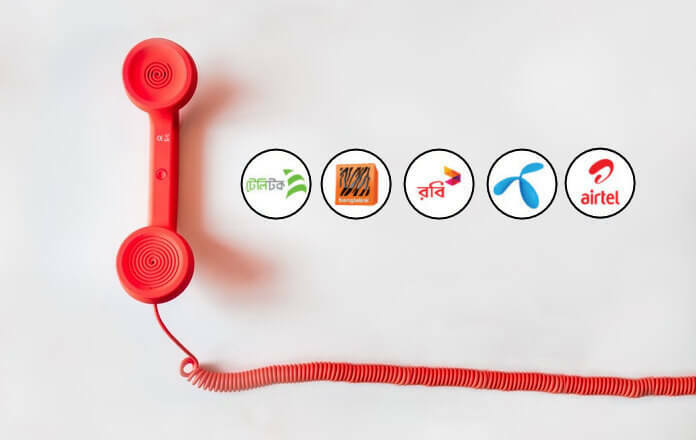 Telecommunication companies of Bangladesh are Grameenphone Limited, Robi Axiata Limited, Banglalink Limited, Airtel Limited, and Teletalk Bangladesh Limited. Any customer can talk to the operators themselves, either by calling any number below or some other. Being the real customer care number of GP, 121. Robi, 123, Banglalink, 121. Airtel, 786, and Teletalk 121. But these numbers can only be called from their operator and can not be called from any other operator. Grameenphone (GP), Banglalink and Teletalk default helpline number 121, Robi default call center number is 123, and Airtel helpline number is 786. Please connect us with our Facebook Page… Thank you for reading the content.